Many of you have commented that our blogs have been so helpful to you on your mother loss journey. Because of this, we decided to create a Blog Hall of Fame! 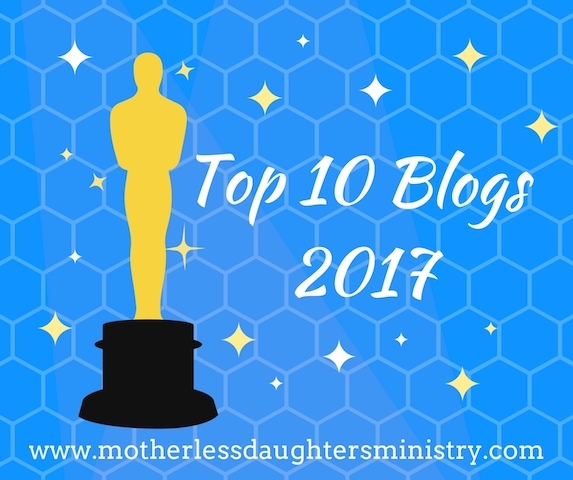 Here are the Top 10 most read blogs from 2017. Share in the comments section how these blogs have impacted you. Also, we’d love to know, what topics would you like to read about in future blogs? I was really surprised by how almost all the details in “Your Age of Mother Loss and its Effects” hit home. As someone who lost my mom in my 20s, I do often feel adrift on a sea of grief with no home base, and have really suffered from the guilt of what our relationship did not get the chance to become. Very accurate. I find comfort in knowing I am not alone in my feelings. Thank you for your comment. It is always surprising to see how similar we all really are. Some thing fit, some things may not. But you hit the nail on the head. It is the sense that you are not alone. There is comfort in that. Others share. Others know. Others feel like me. I love reading your blogs too. Hoping to meet you online sometime!